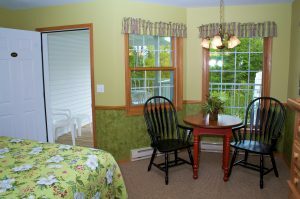 Garden View rooms are only a few steps away from our outdoor heated pool and whirlpool. 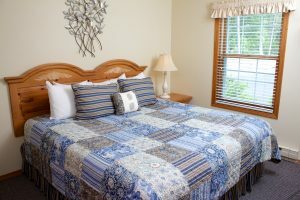 Any one of our five individually decorated Deluxe Single Queen, Garden View rooms is only a few steps away from our outdoor heated pool and whirlpool. The only one of its kind at Bay Breeze Resort. A quaint patio with a view of the garden and the Ultimate Kohler Rain Shower Experience! 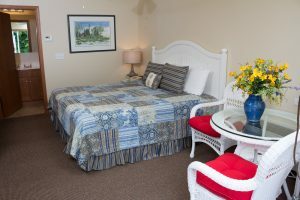 Relax in one of our four uniquely decorated Luxury Suites and take in the breathtaking view of Debbie’s Gardens which were voted #1 Best Commercial Garden in Door County.